Illustration agency. Six professional illustrators for all your graphic needs Are you a publisher who needs art for an impossible book? Are you an art director for a newspaper that can’t quite find the right graphic designer? Do you have a fabulous design that you’re hoping to top off with the perfect illustration? Or maybe you just think that, slaves to fashion, no one knows how to draw any more? 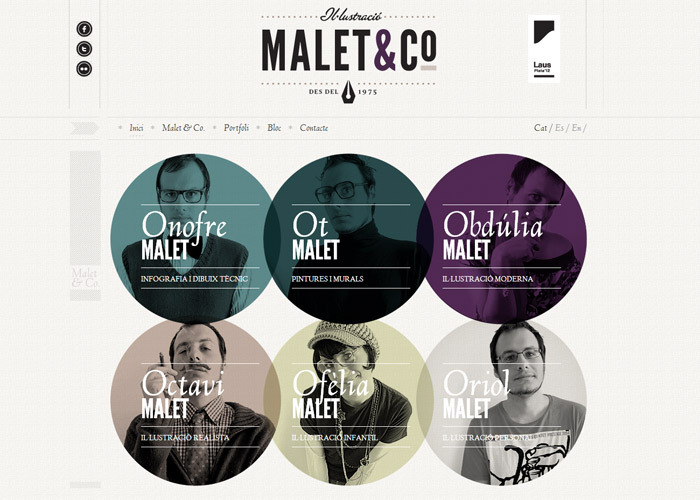 Whatever it is you’re looking for, Malet&Co. has a team of illustrators ready to lend you a hand. Feel free to get in touch with us, the six Malet siblings. We welcome you and invite you to take a look at the work we do.